Immediately following the Civil War, the American people witnessed the greatest westward migration in American history. The 1890 United States Census declared the frontier "closed." In a thirty year period, Americans settle more land than what had been settled during the previous two centuries. Characterized as one of the more violent periods in American history, law and order could not keep up with the wave of settlers. 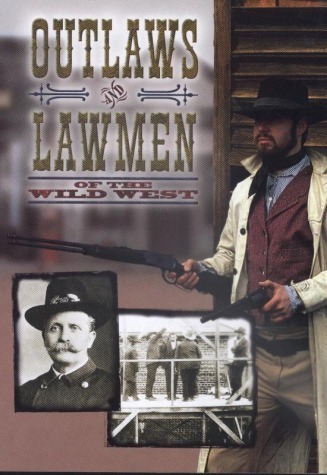 The primary responsibility of a lawman was to ensure safety. Therefore, it was common practice for the law to prohibit an individual from carrying a gun when in town. Gunfighters were legends in their own time. Reputations proceeded the individuals; their presence could ignite a wave of bloodshed or bring the promise of peace and security. Steeped in myth, the romanticized lives of outlaws and lawmen are sometimes difficult to unravel, but, as you will discover, always intriguing to explore. Paperback, c1997,32 p. : ill. 25 cm.